Do you want an IB education for your child? A lot has been spoken about global learning and many international schools across Bangalore and the country as a whole are moving towards adopting curricula that truly encourage learning beyond boundaries. One of the most prestigious programmes that helps young learners set off on the path of global, inquiry based learning is the International Baccalaureate® (IB) Primary Years Programme (PYP). The real test of an education always lies beyond the classroom. Children graduating from any school must ideally turn into self-aware, responsible citizens who can tackle anything that the real world throws at them. One of the challenges faced in educating young minds is sparking intellectual curiosity, leadership and self-directedness qualities that determine a person’s success. The earlier one begins on the right path, the closer one can get to such a goal. IB PYP is meant for students between the ages of 3 to 12 years, i.e up to 5th grade. A combination of the essential elements : knowledge, concepts, skills, attitudes, and action form the basis of a comprehensive and intensive Primary Years curriculum. One of the main advantages of IB PYP is the high degree of flexibility offered by it. The concept of creating global citizens through the process of inquiry is at the heart of the IB curriculum. Although the learning is extremely rigorous, the student is empowered to take charge of the learning experience.The classroom becomes a space for learning, experimentation and exploration. Because of its world-wide recognition and broad spread, it makes it very easy for a student to move from one IB school to another, anywhere in the world. The number of IB schools also continues to grow every year, presenting students and parents with plenty of choices. It encourages students to immerse themselves deeply in the culture of their residence and many others to give them a much more comprehensive view of the world. The IB PYP is designed to incorporate all the crucial first steps that allow for a smooth transition into the advanced programmes like the IB diploma.The rigor, value-drivenness, community service oriented approach of IB provide students a great boost for university education..
Teachers are continuously and actively involved in training programmes that enable them to implement the IB programmes with maximum impact and effectiveness. The IB organisation also provides a sea of resources that support the implementation of the program. The IB PYP programme offers a set of criteria that can be easily used to assess if the required goals have been reached or not. The IB PYP sets a stage for students to relish the challenges of learning and become equipped to transform the world. 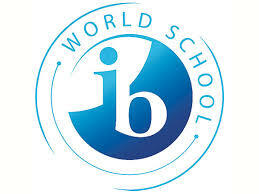 It bestows them with knowledge, skills and the well-earned reputation that the IB is known for.